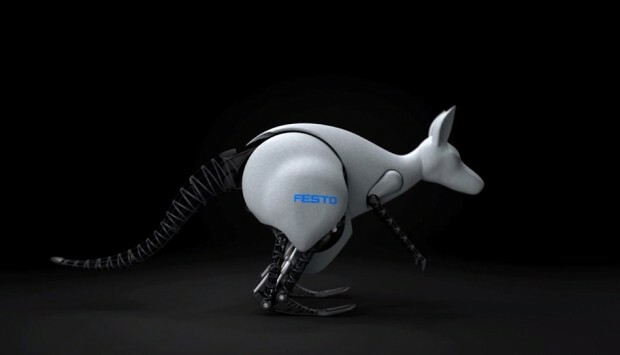 After creating a robot bird and dragonfly, automation company Festo shows off with another impressive animal replica. 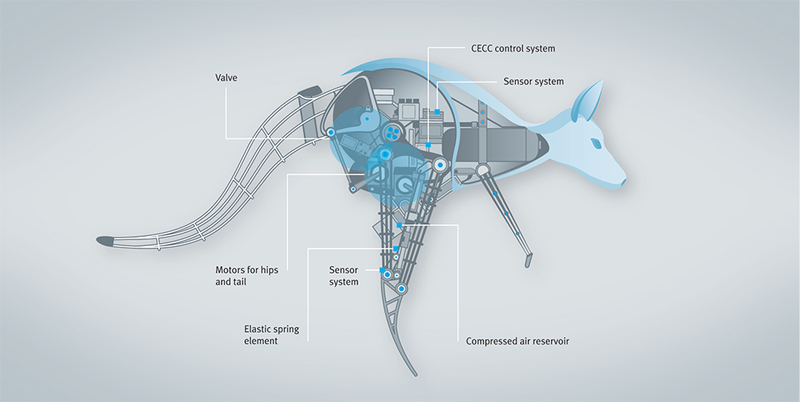 Like real kangaroos, Festo’s BionicKangaroo is not only great at jumping and keeping its balance, it can also store the energy generated from landing and use it for the next jump. BionicKangaroo uses a combination of pneumatic actuators and electric servos to move and keep its balance. 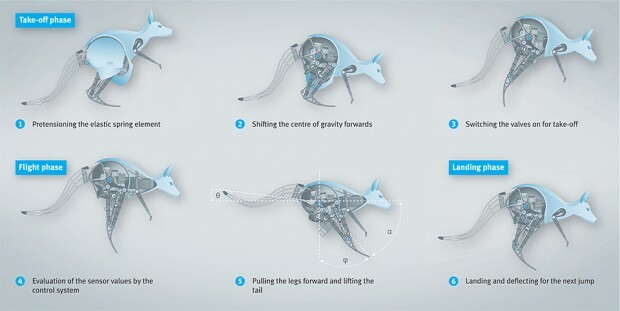 It would’ve been way cooler if they made a BionicTigger instead. Check out Festo’s report (pdf) if you want to learn more about BionicKangaroo.